We’re thrilled to announce not only the next planet to be featured in Star Wars: The Old Republic™ but also a planet never-before-seen in the Star Wars™ mythos: Voss. An alien species resides on the mysterious world of Voss and is said to have an incredible aptitude for the Force. These Voss Mystics – rumored to be enigmatic healers as well as seers – struggle to protect their utopian society from annihilation. Discover the secrets of Voss as you are forced time and again to choose between maintaining the appearance of neutrality so important to your leaders or striking against your enemies while you have the chance. 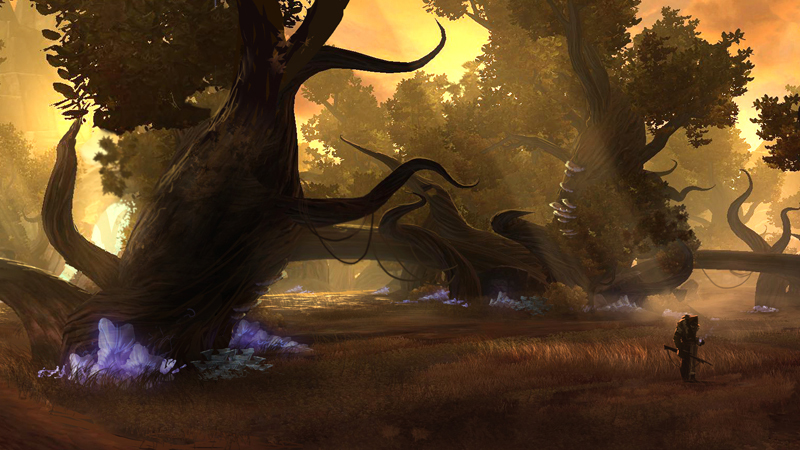 Access the HoloNet records to learn more about the darkness at the heart of Voss. Encounter the narrow trails and wide rock shelves in this video and visit the media section for never-before-seen screenshots, concept art, and wallpapers depicting the madness and despair creeping through the lands. Those Voss Mystics sounds very interesting; I particularly love this bit from the description: “The Voss Mystics are Force users of incredible power. Both the Sith and Jedi agree on this one point. The Voss do not.” I hope that they’ll play this off as a “The Jedi/Sith might think they know everything, but the Voss prove them wrong”. Guess I have a think for less (technologically) advanced species having a deeper understanding of the universe then the advanced ones. Anyway, with the mystics and the the species in conflict with each other it’s certain to make for an interesting planet. That makes twelve planets so far.